Crocheting has never been faster and easier - and the design possibilities have never been more exciting. This simple but innovative technique makes creating sophisticated-looking pullovers as easy as crocheting a scarf. All modular crochet garments are worked in the same basic shape, which consists of eight modules, or rectangles. You can make an infinite number of styles by varying the sizes of the rectangles, the type and color of yarn, and the stitches. What's more, you can customize each garment while it's being made for perfect-fit pullovers in any size, silhouette, and style - and you'll never have to follow traditional written instructions again. While this book was originally published in 1978, what makes it timeless is the method of construction. I would guess that it would be very simple for anyone using it today to apply to any number of modern patterns. Plus, with the great amount of different yarns that are available now, the possibilities are endless. Pullovers never go out of style, and some of the designs her are truly beautiful, even today. 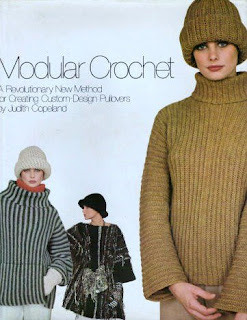 For anyone who loves to crochet, this book makes it easy to create your own sweaters, scarves, coats, etc., merely by changing hook size and yarn type. Each piece is made in a rectangle, which you then fit to your body; it will make a custom-fit garment that is actually tailor-made (by you!). The stitches are all basic, which makes the work go quickly. In the end, you are only limited by your own imagination. Highly recommended. Pastries - Breakfast Sausage Danish; Traditional Croissants, and more. Now, you're never too busy to bake bread! Yeast bread isn't complicated to make, but because it needs time to rise, it's not always easy to fit it into time available - that's until now. Make Ahead Bread gives inexperienced bakers and busy home cooks the information you need to make flavorful, freshly baked bread on a schedule that works for you. Leftovers? Just in case you have any leftovers, this book also features many recipes for your extra bread like Almond Butter Bread Pudding; Artichoke, Olive and Tomato Strata; and Overnight French Toast. Plus recipes for scrumptious butters and spreads are included, such as: Chunky Apple and Cinnamon Spread and Chocolate Butter, to name a few. I was intrigued by this cookbook because it doesn't have the usual recipes - plain white or wheat bread, etc. These recipes are flavorful and interesting. 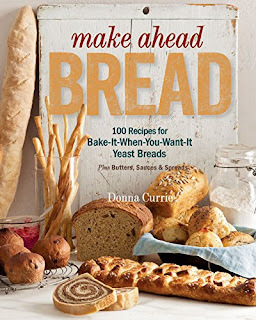 And I will note that it is exactly as the title states: Make Ahead Bread. The recipes are geared toward prepping the bread a day or two ahead of time. The drawback to this, however, is the fact that you will have to decide when you want to make bread. Since the recipes call for the dough to rest overnight in most cases, you need to plan your breadmaking. And not all are geared toward novice bakers. The Kaiser Rolls, for example, could seem daunting to someone who doesn't have a lot of experience in baking, and the same could be said of the turnovers. (Fortunately, I've been been baking since I was a pre-teen, so don't have that problem). Please also be aware that bread making, however simplified, isn't a done deal. Because you are working with yeast, the recipes may not always turn out looking like the photos in the book (of which there are many, for those of you who like pictures with your recipes). However, with a little patience and a lot of love, you should be cooking like a pro in no time. Highly recommended. Here for the first time is the complete, captivating story of an on-set romance that turned into a lifelong love story between silver screen legends Audrey Hepburn and William Holden. In 1954, Hepburn and Holden were America's sweethearts. Both won Oscars that year and together they filmed Sabrina, a now-iconic film that continues to inspire the worlds of film and fashion. Audrey & Bill tells the stories of both stars, from before they met to their electrifying first encounter when they began making Sabrina. The love affair that sparked on-set was relatively short-lived, but was a turning point in the lives of both stars. Audrey & Bill follows both Hepburn and Holden as their lives crisscrossed through to the end, providing an inside look at the Hollywood of the 1950s, '60s, and beyond. Through in-depth research and interviews with former friends, co-stars, and studio workers, Audrey & Bill author Edward Z. Epstein sheds new light on the stars and the fascinating times in which they lived. 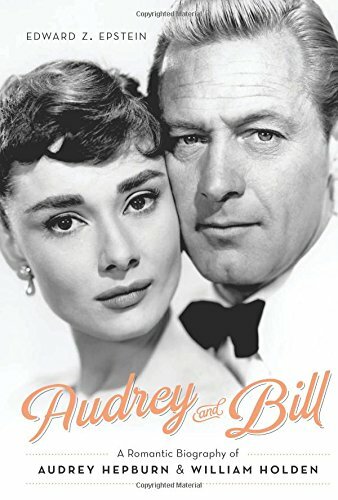 Although this book stays true to the fact that it is about Audrey Hepburn and William Holden, one has to wonder when the title itself appears to be misleading. Audrey and Bill: A Romantic Biography of Audrey Hepburn & William Holden is not what it seems. This is not a story about Audrey and Bill...together. It is, in a way, a story about Audrey and Bill, but very little of it has to do with their time together. In fact, only the first part of the book, around eighty pages or so of 272, chronicles their love affair. The remaining pages chronicles their lives apart from each other...which makes it not a romantic biography. However, though their affair was brief, there is no doubt that they fell in love. But once the affair was over...Bill went on to other women, and Audrey went on to marriage. The thing she wanted most in the world was a family, and though she had several miscarriages, she achieved that. The book is more about Audrey than Bill, and there is no doubt that the author reveres her through all her faults. He lavishes praise upon her, while finding fault with the others mentioned in the book - Humphrey Bogart and Grace Kelly, for example; and even Bill himself. It seems rather gossipy at times, almost as if the author felt it were necessary to add snippets of such in order to keep us interested in reading the book. There was, every couple of chapters or so, something thrown in regarding Bill's life and career; the rest of the book was most definitely Audrey. There is very little said about Bill's home life, except for the fact that he would bring his girlfriends home to his wife. Nothing is said about Ardis' reaction to this; in fact, nothing much is said of Ardis at all. It would be interesting to know why she didn't resume her career. Was she hoping Bill would see the 'error of his ways' and return to her? I would have liked to have known more about her side of the marriage; but in fact, there was very little about their marriage at all. I came away still not knowing much more about Bill than I already knew. In the end, it is a very nice biography of Audrey Hepburn, and a so-so one about William Holden. There is no doubt that these were two talented actors (I will admit I am a bigger fan of William Holden, but like Audrey, too). They were also two fascinating people, and both lucky enough to have extensive careers in both film and personal pursuits. There are also quite a few nice pictures of the two. But unfortunately, I don't feel that there is a lot of new information here that can't be garnered elsewhere. 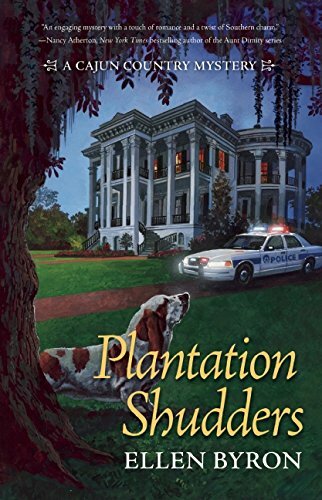 It's the end of summer and Prodigal Daughter Maggie Crozat has returned home to her family's plantation-turned-bed-and-breakfast in Louisiana. The Crozats have an inn full of guests for the local food festival -- elderly honeymooners, the Cajun Cuties, a mysterious stranger from Texas, a couple of hipster lovebirds, and a trio of Georgia frat boys. But when the elderly couple keels over dead within minutes of each other -- one from very unnatural causes -- Maggie and the others suddenly become suspects in a murder. With the help of Bo Durand, the town's handsome new detective, Maggie must investigate to clear her name while holding the family business together at the same time. And the deeper she digs, the more she wonders: are all of the guests really there for a vacation or do they have ulterior motives? Magnolia Marie Crozat, known as Maggie, lives in Pelican, Louisiana with her parents and grandmother. She shares duties at the Crozat Plantation, now a B&B, and working as a guide at the Doucet Plantation, which gives tours. At this time, the B&B is full, with a young couple, a family of Australians, a pair of elderly honeymooners, three college boys from Georgia, a wealthy Texan, and the Cajun Cuties, a group of women who come to Louisiana every year for a vacation. The night after the honeymooners arrive, they both die - the husband from old age and it is later discovered the wife due to poisoning. But who would poison an elderly woman that nobody knew? The local sheriff, Rufus Durant, has a grudge against the Crozats due to a curse placed on his family many, many years ago, and would do anything to see them destroyed, even if it means ruining their B&B or putting any of them in jail. But his cousin Bo is the newly appointed homicide detective, and he's not so sure they had anything to do with the murder. As Maggie realizes the longer the investigation takes, the more it's going to cost her family financially, since they now have to comp the 'suspects' their vacations in order to keep their business. And when it becomes apparent that Rufus is going to stonewall every chance he gets, she decides to do whatever it takes to solve the mystery herself. For a first effort, this book is nicely done. It's not heavy reading by any account, but still a decent mystery and plenty of suspects to go around. The plot was interesting and the clues were woven nicely throughout. But the reason I had to give it four stars instead of five was for a couple of things. Try as I might, I didn't understand the over-the-top unlikable sheriff. Rufus stymies a homicide investigation? And getting away with it? Even in a small town where everyone everyone knows everyone, I have a hard time believing that he just kept getting elected sheriff and everyone was fine with that. He was so unlikable a character that I wouldn't take it amiss if he were run over by his own people in a future book. He had no redeeming qualities and I wouldn't have been surprised if he was the murderer. Unfortunately for me, his character took away enjoyment in the book every time he showed up. The last thing I didn't understand was why the B&B was providing all of the meals instead of just breakfast. It's called a Bed & Breakfast, not a Bed & All Meals. Even if they were comping rooms to the guests, if they were strapped for cash, they wouldn't offer all meals free, too. By doing that, they lost a little sympathy. Whether you consider yourself a novice or a veteran in the kitchen, Georgia and Kathleen make it easy to make delicious baking recipes such as Amish Nut Balls and Brown Sugar Pie. Find the perfect recipe to prepare for that large weekend potluck, tonight’s intimate family dinner, or a fun activity with the kids. A lovely book. 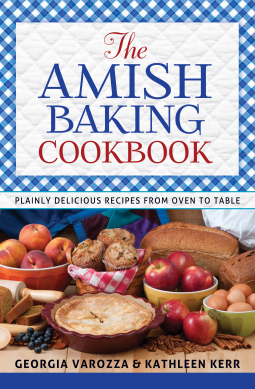 As far as Amish baking books go, this one has what appear to be authentic recipes, and almost all of them I know I will make. There are recipes for soft pretzels, assorted breads including lemon, pumpkin, and orange; biscuits, scones, popovers and muffins; doughnuts, rolls and apple dumplings; and cookies, brownies and bars galore. There are also cakes (Apple Caramel Cake, Yum!) and pies, cobblers and crisps. Anyone who loves to bake would be hard-pressed not to find something they'd enjoy making. And the best part is that everything is from scratch. you won't find any boxes or cans here. There are also recipes that even inexperienced bakers should be able to conquer. Highly recommended. When he was seventeen years old, Audie Murphy falsified his birth records so he could enlist in the Army and help defeat the Nazis. When he was nineteen, he single-handedly turned back the German Army at the Battle of Colmar Pocket by climbing on top of a tank with a machine gun, a moment immortalized in the classic film To Hell and Back, starring Audie himself. 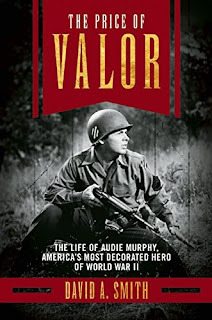 In the first biography covering his entire life - including his severe PTSD and his tragic death at age 45 - the unusual story of Audie Murphy, the most decorated hero of WWII, is brought to life for a new generation. Audie Murphy was the most decorated soldier of World War II. This in itself is worth mentioning; but worth mentioning even more is the fact that he was only nineteen years old when he left the Army. I have always loved all and anything about Audie Murphy, from the first time I saw him on screen as an actor, watching him in an old Western on television. I thought, and still do, that he was one highly attractive man, with a distinct Texas drawl, slow walk, and had a habit of looking down whenever he was speaking with a woman, but looking the men directly in the eyes. It entranced me then and entrances me still today. I suppose you could say I had quite a crush on this man. I'd already known about his war record since I'm diligent about seeking information on subjects I'm interested in. I thought, erroneously, that I'd known nearly everything about this man until I opened the pages of this book. Mr. Smith gives us the full picture on Audie Murphy, and what a picture it is - both the good and the bad. His upbringing was the humblest of humble: he was born to a tenant farmer who could barely survive, and they were so poor there wasn't even electricity in any of their homes until he was around nine. He learned to shoot - and hit his target on the first try - as a matter of survival. In the words of Audie himself: "If I missed, we didn't eat." This ability stood him well during the war. His early years were some of the hardest I've ever read about, and it amazes me that he survived them without being bitter. He tried at first to join the Marines as a sniper, but being small (5'5") they weren't interested. Eventually he was accepted into the Army, but even that wasn't easy. They didn't think he was cut out to be an infantryman, and wanted him to make another career, but Audie had more determination and grit than anyone knew and he refused. He faced all major battles and received the highest honors possible including the Congressional Medal of Honor for saving his entire platoon. This, my friends, is the stuff only Hollywood can dream up: He climbed atop a German tank, manned the gun and took out the enemy with their own weapon. It not only earned him that award, it earned him the notice of Hollywood itself. The great actor James Cagney saw his picture and knew of his exploits and invited him to come to Hollywood. While it never went anywhere with a partnership between them, he stayed and made movies anyway. Not all great pictures, none of them Oscar-worthy. But worth watching, in my opinion. I dare anyone to see No Name on the Bullet and not see the type of person Audie was, in this, his best performance. Yet he had a darker side - a temper he could never get rid of, a gambling habit, among others. It was these things that kept him from becoming the star he could have been. Because of the war and everything he had been put through he was never the same again. He had what we now term as PTSD, and would wake up with night terrors on a regular basis. He slept with a gun under his pillow. He lived with the guilt of seeing many of his platoon die while he lived, and never got over that guilt. He wrote an autobiography, To Hell and Back, about his experiences in the war, although he insisted the book was about everyone in his platoon, not himself. This book was later made into a highly-regarded movie that broke records at the box office. Audie carried that guilt into his daily life and became a person who never shared with anyone. He kept things 'close to the vest,' as it were, and it anyone shared his friendship, it was rare indeed. He died at 45 in a plane crash in Virginia, and was buried at Arlington National Cemetery with full military honors. His casket was pulled by six black horses. Audie Murphy was a larger than life hero, although he would probably balk at my saying so. He never considered himself as such. I have always believed, and after reading this book that belief is only reinforced, that Audie was numbed to the world after he returned home from the war. He had endured so much, pushed himself so hard, that he could never find a way to gain anything from life again that would make him feel content. In The Price of Valor, Mr. Smith informs us that it doesn't come easy, nor lightly. Unfortunately, in Audie's case, it came at a cost that was too high to pay. For all his small stature, he was a giant of a man and there will never be another like him. Highly recommended. Although she left her Old Order Amish ways in her youth, Rachel discovered corporate life in the English world to be complicated and unfulfilling. Having returned to Stone Mill, she's happy to be running her own B&B. But she's also learning - in more ways than one - that the past is not always so easily left behind. Rachel Mast was born and raised Amish, but she chose for herself the English way of life. This did not, however, cut her off from her family, since she did so before she was baptized. She now owns a B&B among her own people in Stone Mill, Pennsylvania and is doing very well. Trying to bring money to the town and her friends and family, she has organized a Winter Frolic, filled with arts and crafts from the Amish that has brought tourists to the town. While she is making her way through the various booths, she spies the local newspaperman, Bill Billingsly. She's been trying to reach him for days, and he's been avoiding her for just as long. It seems he's been writing a gossip column about the locals, including the Amish, and it's been hurting her friends. When she finally corners him, they have a heated argument about what he's been doing, and he threatens to put her in the next installment, having learned a secret from her past. Later that night, Rachel walks to his home, intending to have it out with him. She spies him through his front porch window, but losing her nerve, goes back home instead. The next morning her paperboy Eddie runs down her street in terror, telling her that Bill is dead. When Rachel joins the crowd gathering in front of his house, she sees that he is indeed dead - grotesquely left to die on the front of his own porch. With her beau Detective Evan Parks heading the investigation, he uncovers part of her secret, and though he knows she's innocent of the murder, he lists her as a person of interest, along with others. This doesn't help their relationship any - they have recently become engaged - and Evan is hurt that Rachel never told him this part of her past. Unfortunately, it causes a rift and makes Rachel question whether she made the right decision in accepting Evan's proposal of marriage. 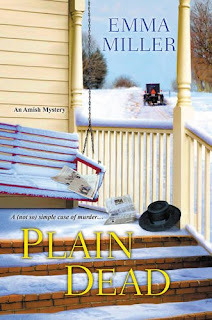 Then Rachel spots something at the crime scene that makes her think there is perhaps a member of the Plain people that could have just as much - if not more - to hide than she ever had, and while she wouldn't be willing to kill to keep her secret, someone else would in order to keep theirs. The more Rachel searches for a killer, the more she realizes that she not only could be hurting herself in the long run, but her friends and family as well. And even though she knows she should listen to Evan and stay out of the investigation, she believes he's not taking her seriously when she tells him things that could be clues to the murderer, and so feels that she needs to take the actions she does. Unfortunately, she spends time jumping to conclusions that aren't necessarily true and only serves to put her in danger. This is the third book in the series, following Plain Murder and Plain Killing, and in my opinion, the best so far. While I enjoyed the first two, in this third one Rachel is becoming more sure of herself and finally moving forward with her life and with Evan. While, as I mentioned above, she does spend time hastily moving from one conclusion to the next, she truly believes that what she's doing is right, and that she knows who the killer is. Ms. Miller leads a merry chase on this one, and Rachel is doing her best to find the killer without alienating any of her own people. Again in this book, as the last, she has the help of her devoted cousin Mary Aaron, who does her best to keep Rachel from raising too many hackles among the Amish when she starts asking questions. All in all, I was pleased with the book and satisfied with the outcome. 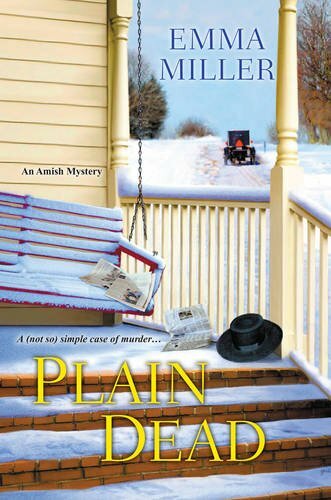 Ms. Miller has at last found her voice in this third Amish Mystery. Highly recommended. It's been a slow month in Richmond, and crime reporter Nichelle Clarke is enjoying the downtime when ominous messages and a dead body kick things into high gear. And that's before the guy with the rifle takes a hospital full of people hostage. Up to the top of her knee-high Prada boots in leads, Nichelle finds her favorite detectives under pressure to make an arrest, but it doesn't add up - and ignoring the "why" of this story could cost Nichelle the most important person in her life. 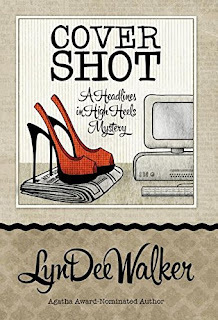 With too much to lose, a shot at the story of a lifetime, and a missing bullet that might be the key, landing this headline could save the day, but can Nichelle dig up the truth before the killer buries her with it? Not too much later, there is a hostage situation at a hospital. A man is holed up inside with a rifle, and wants to speak only with Nichelle and Charlie, the television reporter and Nichelle's main rival for news. The cops tell her it's too dangerous to go in there, but Nichelle decides that there are too many lives at stake, and makes the decision on her own. So enter she does, and finds not a desperate killer, but a desperate man; one who wants only that his wife be saved - his beloved wife who is dying of cancer, and trying everything else, this is his last resort. Diffusing the situation, Nichelle has no idea that the two cases are tied together somehow. There are books that are good, and those that are just so-so. Good, bad, indifferent. There comes upon us occasionally a book that is both interesting and entertaining. A book that will pull us into the story, a labyrinth of of clues that all converge in one place - eventually. But it is the getting there that makes all the difference. And this, my friends, is what Ms. Walker has done. She has created plot twists to end all plot twists. There are so many 'what ifs' and possible suspects that it is nearly impossible to center on just one. And the end - at last we come to the final pages - when it is all put together, she gives us an end so satisfying, so beautifully done, that we realize it doesn't matter how long it took us to get to the destination because the journey itself was worth the time. This, my friends, is a book worth reading. Highly recommended. Americans love chili. Whether served as a hearty family dinner, at a potluck with friends, or as the main dish at a football-watching party, chili is a crowd-pleaser. It's slathered over tamales in San Antonio, hot dogs in Detroit, and hamburgers in Los Angeles. It's ladled over spaghetti in Cincinnati, hash browns in St. Louis, and Fritos corn chips in Santa Fe. Fans in every region of the country boast the "one true recipe," and Robb Walsh recreates them all - 60 mouth-watering chilis from easy slow-cooker suppers to stunning braised meat creations. There are beef, venison, pork, lamb, turkey, chicken, and shrimp chilis to choose from - there is even an entire chapter on vegetarian chili. The Chili Cookbook is sure to satisfy all your chili cravings. Who doesn't like chili? 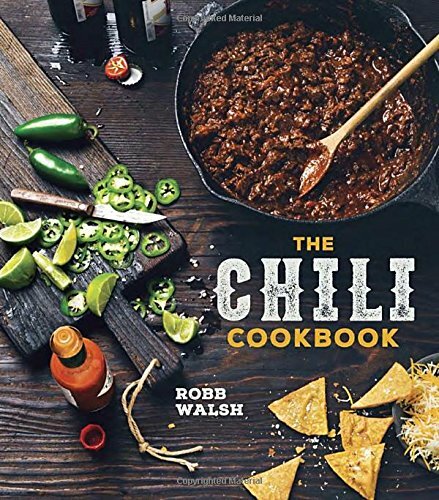 For myself, (not counting this book) I probably have close to fifty or more recipes for chili. Since I love to cook, it's only natural that I'd have plenty of them. So when I saw this new book, I couldn't wait to see what was in it. For the most part, I wasn't disappointed. Mr. Walsh begins with explaining the ingredients used in chili and even includes a recipe for homemade chili powder. There's even a recipe for homemade tortillas. The rest of the book, as expected, is recipes for chilis and its variations across the world. He accompanies each of these with origins and stories. There is one recipe, however, that bothered me a little. It reads to add 'several tomatoes, depending on size, chopped.' Excuse me, but that doesn't tell me how many tomatoes are needed. One cup? Two? Are we supposed to just guess? Other than that, while you probably won't make every recipe in the book (unless you really like chili), you'll find a few that you enjoy. Recommended. When Cherry Tucker's invited to paint the "kill portrait" for the winner of Big Rack Lodge's Hogzilla hunt, it seems like a paid vacation. Back home in Halo, a Hatfield-McCoy-style standoff builds between Luke and Cherry's families. She's ready for a weekend away, hobnobbing with rich and famous hunters, where she can forget her troubles and nobody knows her name. 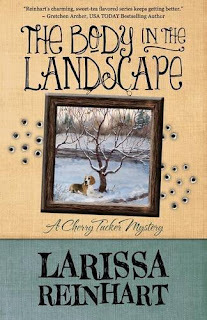 As Georgia sunshine turns to bleak December rain, Cherry's R&R goes MIA when she finds a body in the woods. 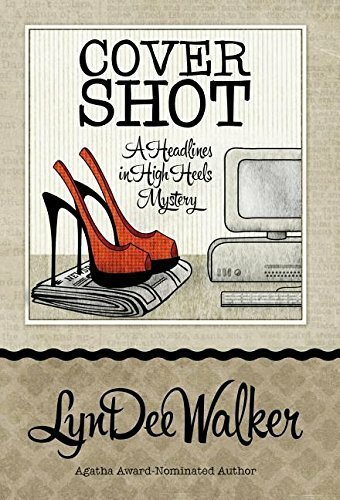 While the police believe the local drunk took an accidental spill, Cherry has her doubts, particularly when a series of malicious pranks are targeted at the rifle-toting contestants. 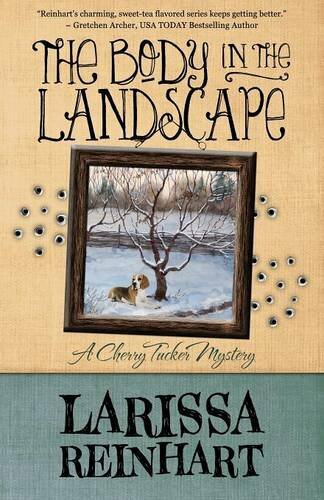 With loyal companions at her side - sort-of-ex-husband Todd and a championship bayer named Buckshot - Cherry tracks suspects through a forest full of pitfalls and perils. And all the while, a killer's stalking the hunt party with a bead on Cherry. Cherry Tucker is an artist who has been hired by her friend Max Avtaikin to paint the portrait of the winning hunter who kills Hogzilla, a giant boar that has been terrorizing farms in the area of the hunt, Big Rack Lodge. Also along is Cherry's best friend Todd, who is there to help Max, who is recovering from a bad knee. Max's main competitor is a loudmouth with a reality show, Bob Bass, who insists it will be he and not the Bear (Max) who will make the final kill, although there are other competitors - except one, who has one a "local" raffle - all who have paid an entry fee of $10,000 for the 'privilege' of hunting and killing the boar. There are Bob's girlfriend, Peach Payne, LaToya Peterson, Clinton and Jenny Sparks, the local Rick Miller, and Bob's publicist Rita Rispoli. But things begin to go awry from the very first night. Cherry decides to do a little painting on her own, and when Todd joins her, she notices something in the distance. It turns out to be a blue ball cap. When Cherry gets a little closer to the cap, she finds the person it belongs to: Abel Spencer - and he's no longer among the living. Cherry is shaken up, because she spoke with him not too long ago. And though everyone insists Abel must have been drunk and fallen to his death, Cherry knows he was sober and that there's more than meets the eye. Given the brush off by the local police, she decides to investigate on her own, which at times isn't subtle at all. And when there are ensuing "accidents" Cherry knows she's on the right trail, even if Max seems disinterested and everyone else tells her she's crazy. Eventually Cherry discovers a lot of the 'accidents' are aimed toward her, which convinces her she was right all along. Cherry, for all her worth as an artist, can't seem to stay out of trouble. This is the fifth book in the series, and she manages to find it no matter where she goes. I would go so far as to say that when trouble comes knocking at the door, she invites it in and offers a chair. The reason she is on the hunt in the first place is because Max is trying to give her a weekend where she can relax and enjoy herself, but I've come to the conclusion that Cherry doesn't know how to do that. She can't stop thinking about the fact that her brother is facing serious jail time, and Luke Harper, her wanna-be boyfriend, is the arresting officer and part of the clan that is trying to put him away. Even though she knows Luke is on her side, it isn't enough and Cherry is keeping him at arms' length. In her mind, her family hates his, and she needs to stand with her family. So with her love life in a shambles, she now also has to contend with the fact that someone is out to kill someone in the hunting party, and it could very well be her. Some of the situations she finds herself in are both crazy and humorous at the same time, and there were moments that were outright funny. The mystery was written well and plot twists abound. Even when things seem to come out alright, as they always do in the end, she still has the problem facing her of her family hating Luke. All in all, a solid entry into the series. Highly recommended. Several miscellaneous recipes (jerky, play dough, finger paint...) and large quantity recipes (for wedding receptions and other large events) are followed by many healthy recipes for folks who are watching their diet. A generous collection of tips and hints provides extra help in making your duties in the kitchen and throughout your home flow smoothly. I had high hopes for this book, yet now I really don't know what to say except for the fact that it's not 'authentic Amish.' My husband grew up around Gettysburg, Pennsylvania, and I visit the Amish community every time we've gone back there. Never have I seen or heard of them using processed food in their authentic recipes. Libby's pumpkin pie? From the back of the can of pumpkin? Really? Pre-packaged and processed food: cake mixes, Jello, Miracle Whip, Cool Whip, canned soup, etc. This should be titled 'Recipes from Brand Names.' There's even a recipe for scalloped potatoes that lists as an ingredient '1 box cheese.' Since when does cheese come from a box and not a cow? It doesn't even tell you how much or what brand cheese, which is worse. Chai tea? Honestly? 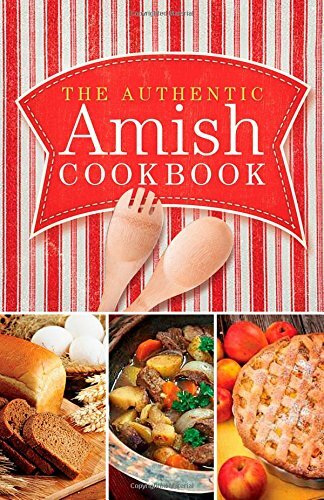 I'm not saying there isn't anything that aren't Amish - there are recipes for homemade bologna, relishes, catsup, Shoo-Fly pie and Muenster cheese - but I wouldn't take this as an Amish cookbook. It's more of a cookbook that happens to have some Amish recipes in it. I have several, all published in Amish country and with reputable recipes, so I know they're out there. Two stars because there are some Amish recipes, but not enough to warrant the title, in my opinion. 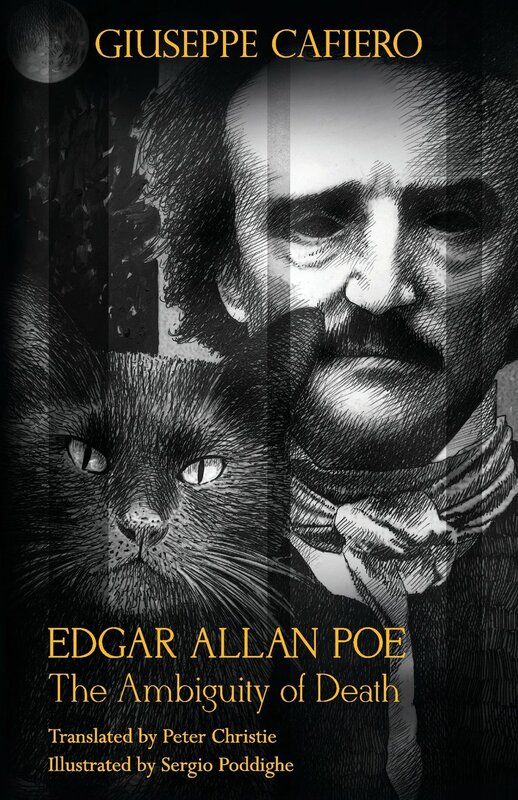 Giuseppe Cafiero presents the most intriguing biography of one of America's most enduring writers: poet, author and critic Edgar Allan Poe. The beloved master of mystery and the macabre, Poe's life and work is explored through the creation of memories, recriminations, intense loves and of delicate devotions. Using the form of literary nonfiction, Cafiero successfully structures this memoir in the style of a traditional fiction narrative. Introducing the reader to the character, The Reporter, whose story is a mirror in which it's possible to contemplate what is unreasonably hidden and infinitely ambiguous in the existence and in the writing of Edgar Allan Poe. After Poe's infamous death, the reporter attempts to investigate the life and writing of Poe by attending a meeting at the Old Swan Tavern in Richmond. Invited to the interview is archrival Reverend Wilmot Griswold and one of the last to see Poe before his death, Dr. J. Evans Snodgrass. 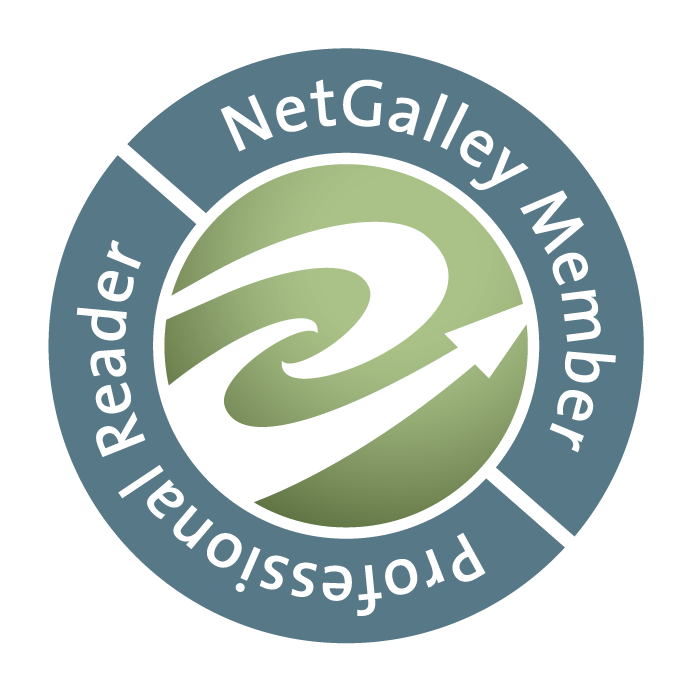 The reporter not only discovers the accusations of life filled with alcoholism, opium addiction, violence and womanizing but also begins to understand that this painful dark existence is not the antithesis to great writing. This is confirmed when the investigation continues with the meeting of an array of people by the reporter who divulge more information on the life of Poe and why many became the protagonists in his stories. This surreal bio-fiction of the life of nineteenth century American writer, father of detective fiction, Edgar Allan Poe, brings to life a solidly constructed psychological portrait of the writer through the characters in his works. Each of the stories is accompanied by the gloriously gothic illustrations by acclaimed Italian artist Sergio Poddighe. Perhaps this is the only way to pay tribute to a writer who has indelibly marked the nineteenth century. I will tell you first that Edgar Allan Poe is my favorite author. I own everything he's ever written, and several biographies. Therefore, I was intrigued by this book. Unfortunately, it's not exactly what I expected. I have attempted several times to read and re-read it, only to put it down. Finally coming to a conclusion, I can only hope to understand what the author is trying to communicate. It is written in the style of Poe's books, as a sort of non-fiction fiction. But the difference is that with Mr. Poe's works, we knew that it was fiction; here it seems the author is attempting to channel Edgar, and I am not quite sure it works. At least, it doesn't work for me. At times I wasn't even sure if the people mentioned above were speaking about Poe or merely talking between themselves. I wasn't sure whether I was privy to a conversation about Poe, or if he were listening from another table nearby, in the first pages of the book. As I read the ensuing chapters, I learned very little that would interest me. Labeling chapters such as Berenice - which was a tale by EAP - I wasn't sure if the author was reiterating what Poe had already written, or if he was attempting to put his own spin on it. This was just one of the examples I encountered that seemed odd somehow. Another is The Narrative of Arthur Gordon Pym, Poe's only complete novel. Mr. Cafiero is reiterating Poe's work, but in such a way as it appears to be told by someone else. Honestly, I'm not sure what Mr. Cafiero wanted to achieve in this book, but it just doesn't appeal to me. In the end, this book might be for others who enjoy this type of writing, but it just wasn't for me. Three stars for a worthy effort, but unfortunately it couldn't hold my interest. Deciphering an ancient alchemy book is more difficult than Zoe Faust bargained for. She'd much rather be gardening and exploring her new home of Portland, Oregon - but time is running out for living gargoyle Dorian Robert-Houdin. If Zoe isn't able to unlock the alchemy book's secrets soon, the French gargoyle will remain awake but trapped in stone forever. 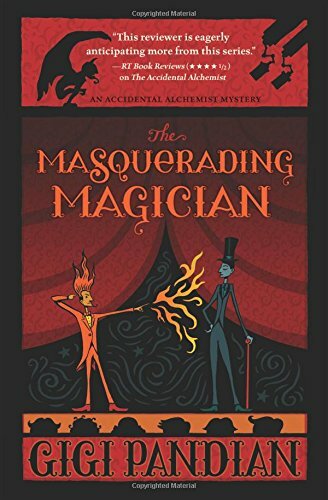 When Zoe gives herself a rare night out to attend a classic magic show that reminds her of her youth, she realizes the stage magicians are much more than they seem. A murder at the theater leads back to a string of unsolved robberies and murders in Portland's past, and a mystery far more personal than Zoe and Dorian ever imagined. Zoe Faust is an alchemist. It's a little hard to explain, but in a nutshell (and I am not saying this is all they do) they have the ability to prolong life, heal, and - yes, in some cases - change base metals into precious ones. I am not saying they exist, nor am I saying they do not. I am merely explaining what an alchemist is. At any rate, Zoe Faust is one of of those people. She has spent the last several hundred years wandering the earth, never staying in any one place for very long, lest anyone should notice she hasn't aged. At the present, she is residing in Portland, Oregon, and has bought her very first house, a fixer-upper that definitely needs work but she, at present, doesn't have the funds to repair. Her first order of business is to help her housemate from dying. You see, Dorian Robert-Houdin is a gargoyle. Yes, gargoyle. He was brought to life by a very famous French Magician, Jean Eugene Robert-Houdin. And he is presently reverting to his stone state. Which, if it occurs, will permanently trap him in a stone body forever, but he will be awake. Thus Zoe has undertaken the dangerous task of trying to help him. It is dangerous for her, because in making his Tea of Ashes, which helps him temporarily, it is slowly killing her. So at night Dorian bakes wonderful treats for a local bakery - he has been trained as a gourmet chef by a blind chef - that everyone thinks Zoe makes. One night Zoe gives herself a rare night out to see a pair of magicians, and notices her young friend Brixton at the performance - the only other living person who knows about Dorian - and looks up and also sees Dorian, which throws her, because she knows it is dangerous for him to be there. It is a long story, and one I will not go into with detail, because I do not want to give too much away - which, in this case, is difficult because it is a key part of the story; but I will attempt to write the gist of it. The magicians, Peter and Penelope, remind Zoe of a performance she saw many, many years ago. Peter Silverman reminds Brixton of someone he has seen recently, and this leads him and Zoe to another dilemma in which they may need his help, but do not know how to approach him. It seems Peter resembles a man who committed a robbery in Portland over fifty years ago, and was killed by the police; so much so that Brixton is convinced he is the same man and, being a magician, could also be an alchemist. If so, Zoe could need his help in keeping Dorian alive. And one night, a man is found dead in the theater, clutching one of Dorian's stone toes, which somehow got tangled in wires the night he visited the performance and broke off. Due to this, Zoe's semi-boyfriend Max Liu, a police detective, thinks Dorian (the statue) may have been used in the crime, but does not know how. From there we have an extremely interesting story. Ms. Pandian has a way of mingling fact with fiction in her writing, and does it very well. In this story she uses factual people, (the magician Robert-Houdin, for example) and weaves it into the novel in ways which not only seem plausible, but are compelling as well. It makes the book appear as if one were reading a history book, not a fictional novel, which is interesting enough in itself, but quite ingenuous in its own way. I enjoyed this book very much, but I must disavow Dorian of the notion that Hercule Poirot was not un flic. He was, indeed, at one time. Highly recommended. They call it "the Brewmaster's Widow", the abandoned brewery where Death Bogart's brother died in an arson fire. With his girlfriend, Wren Morgan, Death goes home to St. Louis to take on a deeply personal mystery. When Randy Bogart went into the Einstadt Brewery, he left his broken badge behind at the firehouse. So why did the coroner find one on his body? Every answer leads to more questions. Why did the phony badge have the wrong number? Who set the brewery fire? What is the connection between Randy's death and the mysterious Cherokee Caves, where the opulent playground of 19th century beer barons falls into slow decay? Not understanding how and why he lost his brother is breaking the ex-Marine's heart. But the Brewmaster's Widow is jealous of her secrets. Prising them loose could cost Death and Wren both their lives. Death (pronounced Deeth) Bogart is an ex-Marine-turned bounty hunter. His girlfriend, Wren Morgan, is an auctioneer. Having just recently finished an investigation and solved a case, he receives a visit from his late brother's fire captain, 'Cap' Cairn. He has come because it seems Randy's estate still needs to be settled. It turns out that Randy, under the assumption that Death had been killed overseas, and not liking his widow (at the time) Madeline, created a new will and left everything to the fire station. But the captain, finding Death alive, wants to return everything to him. He also brought him Randy's silver shield, which puzzles Death. It puzzles him because he already has the shield the coroner sent him. Which becomes an even bigger puzzle when Cap asks him where the coroner got it, and Death tells him it was taken off Randy's body; but Cap says that's impossible because he snapped the back off his badge the morning he was killed, and there wasn't time to have it repaired. An even bigger mystery ensues when it is discovered that the badges have two different numbers on them - 4103, Randy's number, is on the badge Cap brought, and 4183 is on the badge given to Death by the coroner. But that number belongs to a very live firefighter. And even though Cap does his best to convince Death that Randy is dead, Death is sure something else is happening, and so he sets out for St. Louis to find the truth surrounding his brother's demise. When he arrives, he meets several of Randy's coworkers who were with him that day, and who also tell him that they saw Randy's body, and that he's definitely dead. Missing Wren, and her missing him as well, he phones her and is told by her employer Roy Keystone that she's on her way to St. Louis. When Wren arrives, she finds out Death has already consulted the coroner, Sophie Depardieu, who only enforces what everyone else has told him - Randy is dead, and she took the badge off the body herself. But already knowing what she knows, and listening to Death add what he's learned, she's also convinced something else is afoot, and wants to help him get to the truth of the matter. And what Death and Wren find could just get them killed in the process. When Death takes ill from roaming around in caves - his lungs are damaged from an incident when he was in Afghanistan - Wren decides to take over the investigation, vowing to keep him in the dark until he's at least on the way to recovery, and enlisting some unlikely help along the way from Randy's coworker Rowdy's wife Annie. To add to the problems, Death's ex-wife Madeline shows up, still trying to make him jealous and believing she has a chance of getting him back - but Wren proves more than a match for her, and isn't about to let him go. I enjoyed this book immensely. Death and Wren are still finding their way around their relationship, although it isn't the main focus of the story, which is nice. We are given a fully rounded mystery, with enough plot turns to keep us interested and, as with me, reading well into the night. These aren't one-dimensional characters by any stretch of the imagination, and Wren's employers, the Keystones, are a hoot, and I wish I knew them in real life. 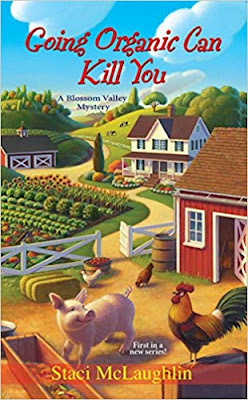 This is the second book in the series, and Ms. Ross has again given us an intricate story full of deception and lies, with enough twists to make even a pretzel maker sit up and take notice. I only wish I could add more to what I've already said, but, unfortunately, anything else would be giving away too much and I don't want to ruin the story for anyone. Suffice it to say that if you've read her first work, Death and the Redheaded Woman, you'll be delighted to know that this one proves her work isn't just a one-time thing; and if you haven't read it, I suggest you do. 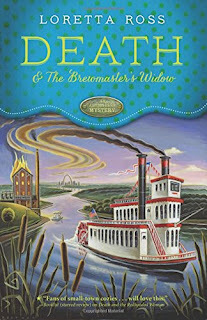 Not that this can't be read as a stand-alone; (she gives enough information on Death's past that you don't feel lost throughout the book as with some authors) but you'll enjoy it more with having also read the first. 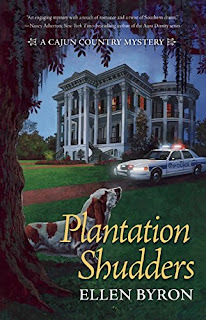 Kudos to Ms. Ross for another captivating mystery, and I eagerly await the next in the series. Highly recommended.